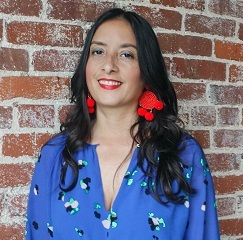 Lilliam Rivera is an award-winning writer and author of the young adult novels Dealing in Dreams, forthcoming from Simon & Schuster on March 5, 2019, and The Education of Margot Sanchez, available now in bookstores everywhere. Her work has appeared in Elle, Los Angeles Times, Tin House, and The Magazine of Fantasy & Science Fiction, to name a few. Lilliam lives in Los Angeles.